Vacuubrand manufactures a comprehensive range of laboratory and instrumentation vacuum pumps, gauges and controllers for both coarse and fine vacuums. Vacuubrand’s first priority is to offer sophisticated equipment which meets the highest quality, professional standards expected of a modern laboratory. For example, ‘intelligent pumps’ make lab work more efficient, allowing chemists and technicians to focus their attention on other tasks. They engineer and produce almost all of their pump and controller components at their facility in Germany. This enables Vacuubrand to quickly respond to the wide variety of demands from different laboratories, offering tailor-made solutions, and also ensures a consistent approach to the quality of their design and manufacturing processes. 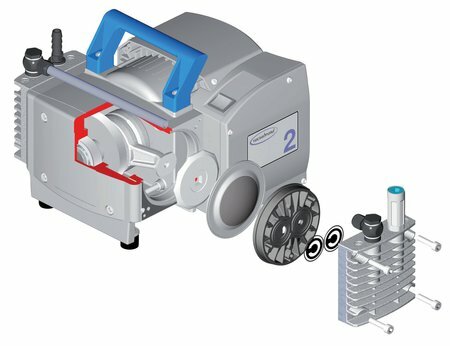 Vacuubrand relies on a range of cutting-edge technology and machine tools to produce a large selection of products, including rotary vanes, diaphragm pumping units, chemistry vacuum systems, vacuum gauges and controllers, as well as valves and components of the innovative VACUU-LAN local vacuum network. Chemistry diaphragm pumps from Vacuubrand feature an uncompromising approach to design; due to the use of fluoro-compounds, they are resistant to chemical vapours from inlet to exhaust, and are tolerant of condensates. Vacuubrand’s chemistry diaphragm pumps are typically used for evacuating chemically aggressive gases and vapours from rotary evaporators, vacuum drying cabinets and centrifugal concentrators. Vacuubrand’s varying stage pumps feature a gas ballast valve that helps preserve pump performance when working with condensable vapours. Pumping chambers are also hermetically separated from the drive space, ensuring ample longevity. Most importantly, Vacuubrand diaphragm pumps are oil-free, reducing service demands, eliminating water waste from water-jet aspirators and the contaminated waste oil disposal of rotary vane pumps. 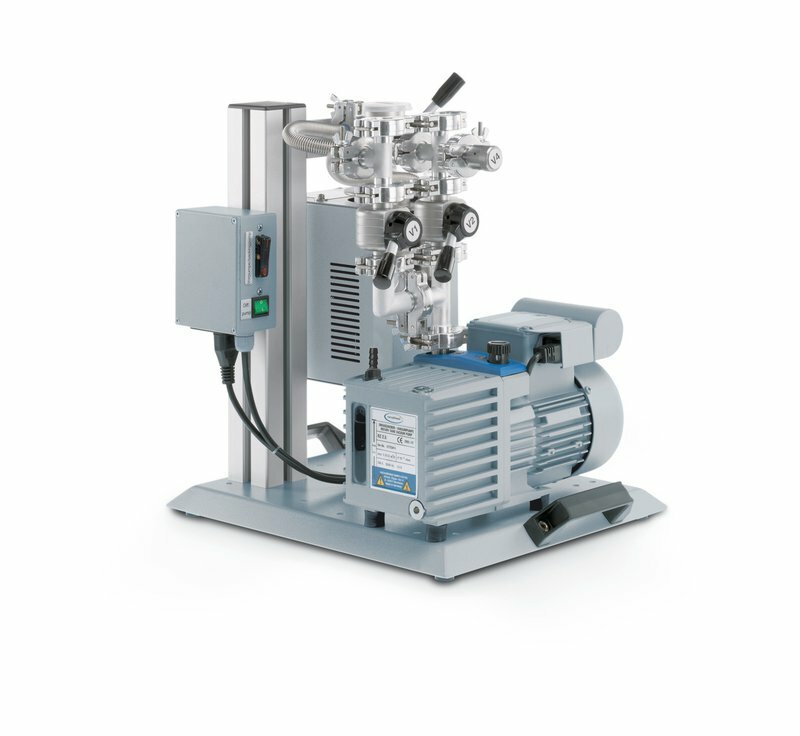 Vacuubrand’s aluminium diaphragm pump is perfectly designed for many laboratory applications due to its low maintenance requirements and quiet, oil-free operation. Vacuubrand chemistry diaphragms feature a hermetically sealed drive space, separate from the pumping chamber, in order to protect mechanical parts from corrosion, increasing their longevity. Vacuubrand pumps achieve their outstanding performance through a high pumping chamber volume. Flexible FKM double diaphragms featuring fabric reinforcement ensure durability. Oil-free pump operation without any sliding components in the gas path keeps the pump free from abrasion during normal operation, improving longevity and eliminating particulate impurities. Vacuubrand offers Category 2 chemistry diaphragm pumps and vacuum systems, in accordance with European Community Directive 2014/34/EC (ATEX). This means that Vacuubrand ATEX equipment is guaranteed to meet the strict standards for intentional use in areas with potentially explosive atmospheres. Vacuubrand’s ATEX equipment is also available with VARIO® variable speed motors for greater vacuum control. Vacuubrand’s chemistry diaphragm pumps are appropriate for such locations because they are highly resistant to chemicals, oil-free, have no sliding surfaces and the expansion chamber is hermetically sealed against the drive zone. ATEX chemistry vacuum systems with solvent recovery provide a safe, convenient vacuum while protecting the environment. They are also supported by an ATEX vacuum gauge with excellent corrosion resistance for long-term stability. For more than 50 years, Vacuubrand has been a proven business partner for OEM solutions in laboratories, analysis and industry. Vacuubrand products are guaranteed to meet the highest technical, economic and environmental standards. The company has maintained a ISO 9001-certified management system for many years. An expert development team and integrated production process, along with cutting edge machinery and automatic testing equipment, give Vacuubrand a high level of flexibility and control over manufacturing. In OEM applications, Vacuubrand adapt their pumps to suit a variety of individual installation requirements. Everything from motors to electrical interfaces are considered, with the option of integration with existing equipment control wiring. Vacuubrand rotary vane pumps are high performance, yet compact, and can be equipped with an extensive line of Vacuubrand accessories. They are suitable for process vacuums of up to 10-3 mbar and feature an innovative lubrication system with a built-in oil pump and have a large oil volume. This extends oil change and service intervals, and protects the pump at start-up. The effective gas ballast feature, with its high flow gas ballast, provides high vapour pumping capability for both water and solvents. Vacuubrand’s rotary vane volume flow rate is specified at atmospheric pressure, as is customary with PNEUROP®. For process efficiency, however, the high volume flow rate of Vacuubrand pumps under process conditions, as well as a consistently high volume flow rate over a wide pressure range, is crucial for a variety of applications. High performance, reliable vacuum equipment is essential for successful and efficient work in many science laboratories. Vacuubrand high vacuum pumping units satisfy a variety of professional and practical requirements, while providing a high vacuum up to 10-6 mbar. 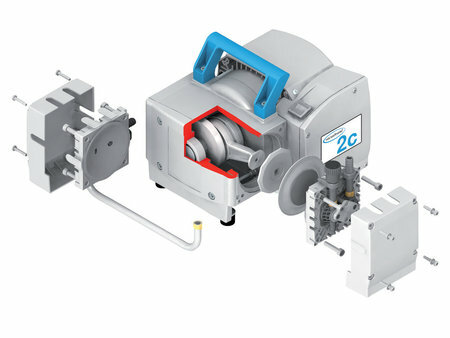 Vacuubrand pumping units consist of an air-cooled diffusion pump, a two-stage rotary vane pump as a backing pump (either RZ 2.5 or RZ 6) and all connecting parts, including high vacuum valve, ventilation valve and bypass line. The pumping unit HP 40 B2 with RZ 6 provides higher speeds in the pump down phase, and is equipped with an additional oil mist filter FO. The compact BioChem-VacuuCenter offers the perfect solution for safe, sensitive and efficient aspiration of supernatants in all application areas. 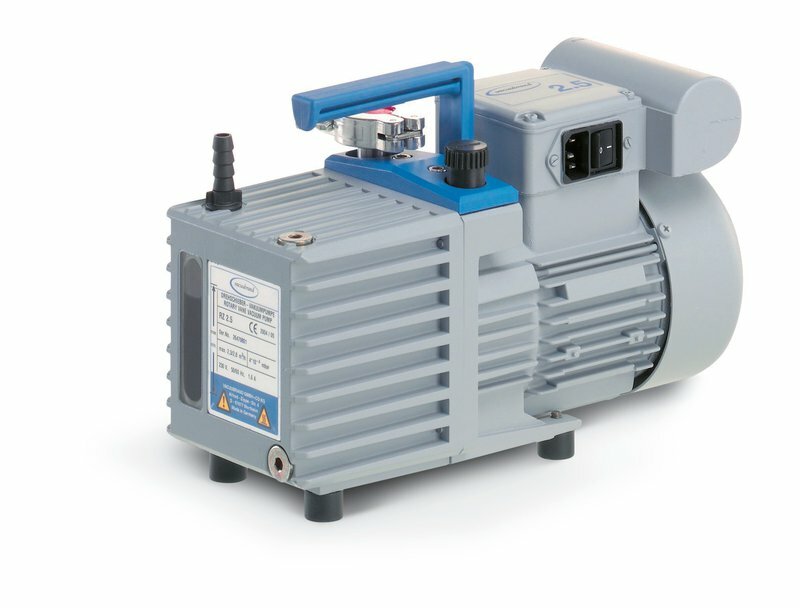 The BVC basic is intended for connection to an external vacuum source, whilst the BVC Control and the BVC Professional are equipped with a high performance, chemically resistant diaphragm pump. The vacuum level and thus the suction force at the hand control can be sensitively adjusted via a touch panel. 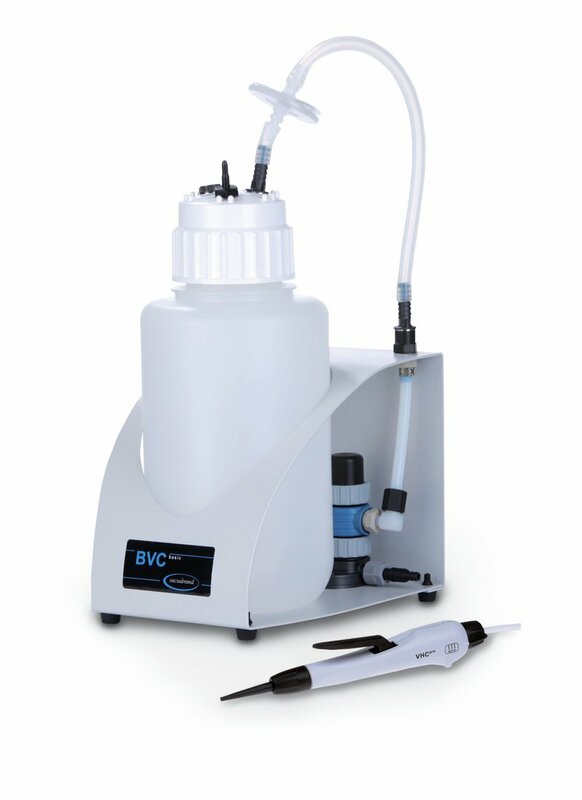 In addition, the BVC Professional features a non-contact liquid level sensor and self-closing quick couplings (4l PP bottle version). All systems are available with either a vacuum resistant, autoclavable 4l PP bottle, or with a 2l borosilicate glass bottle, ideal for working with aggressive disinfectants such as chlorine bleach. All product versions can have an additional hand control connected immediately. 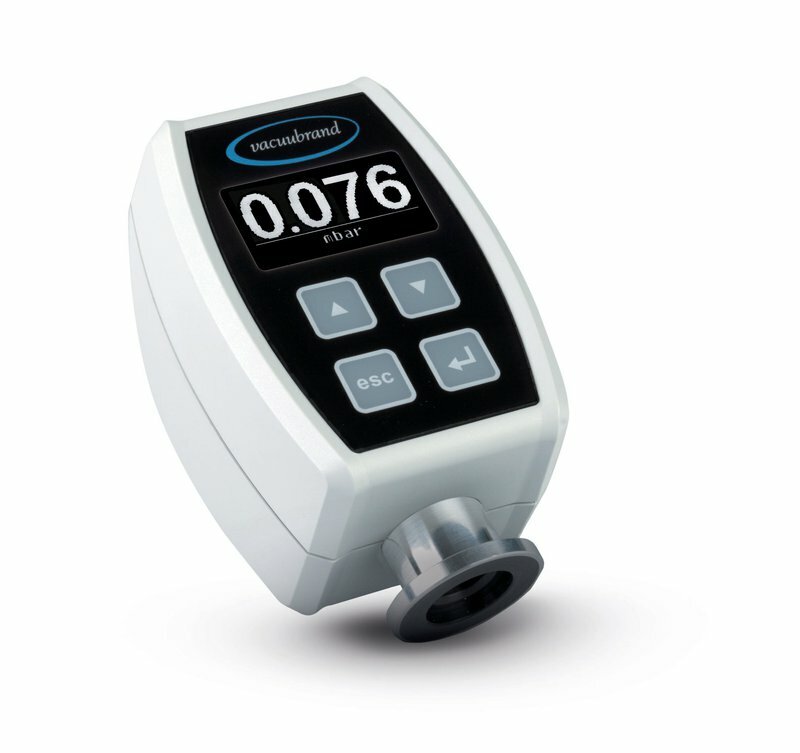 Vacuubrand’s state-of-the-art vacuum gauges for laboratory and industrial operation are built to satisfy high standards of chemical resistance, reliability in strenuous applications and operator-friendly interfaces. Vacuubrand offers a comprehensive range of electronic measuring instruments with an atmospheric pressure range up to 5 x 10-9 mbar. 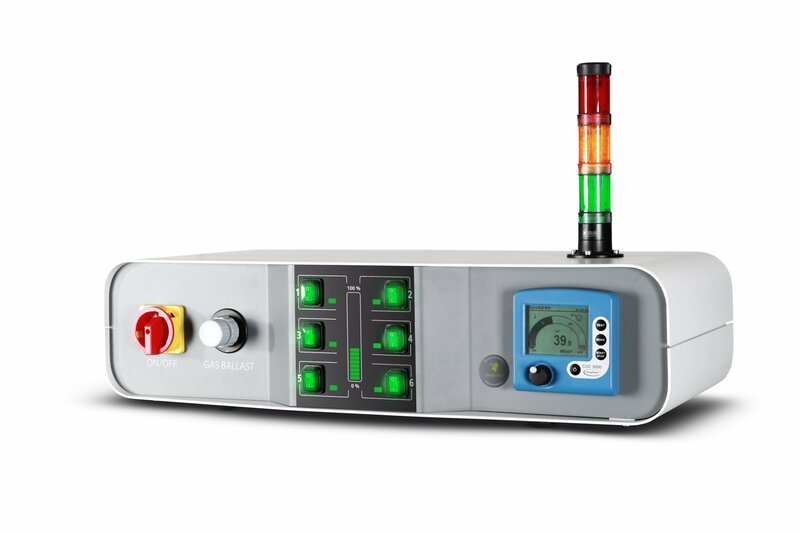 Many laboratory applications require electronic vacuum controls which are able to constantly adapt the pump´s volume flow rate to process requirements. The maximum volume flow rate of the unregulated pump can be altered in various ways. 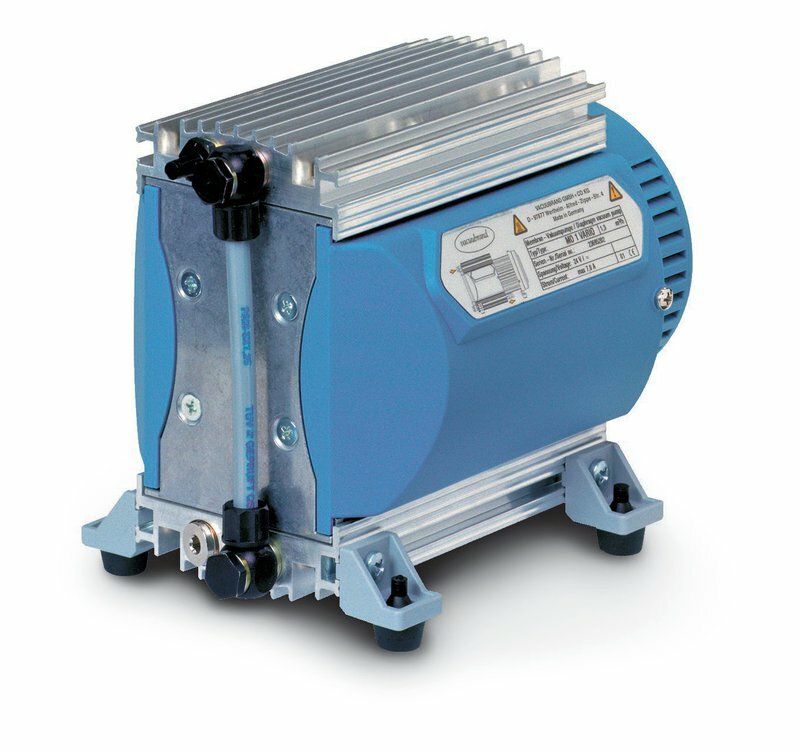 By turning the pump on or off (with the CVC 3000 controller and module VMS-B) by opening and closing an in-line solenoid valve (CVC 3000) or by continuously changing the pump´s motor speed (VARIO® pumps in connection with CVC 3000). VACUU·LAN® vacuum local area networks make it possible to supply several different applications with one vacuum pump. This is the perfect cost-effective, space-saving solution for when many users are working with vacuum in one laboratory, and avoids the numerous drawbacks of a central vacuum supply. Versatile and easily upgradable vacuum modules are available for a variety of workplace outlets. All components are available for either new laboratories, existing or renovated laboratories. The modules are suitable resistant to chemicals, and have built-in check valves to ensure that adjacent applications do not contaminate or interfere with one another. Vacuubrand’s valves and components are carefully inspected before shipment to ensure a high standard of integrity. 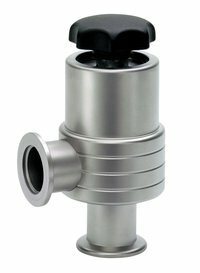 A wide range of vacuum valves and small-flange components can be used alone, or in combination, with a variety of vacuum systems. Vacuubrand components are appropriate both for connections to Vacuubrand pumps and for all valves and components with DIN 28403 (ISO 2861-1) small flange (KF) dimensions. Vacuubrand Components and subassemblies are available in stainless steel, aluminium, brass or plastic. Vacuubrand offer elastomer seals constructed from NBR and FKM, as well as metallic seals constructed from aluminium or indium. Vacuubrand also have a wide variety of resilient connecting elements and small-flange components, that serve most vacuum system needs. 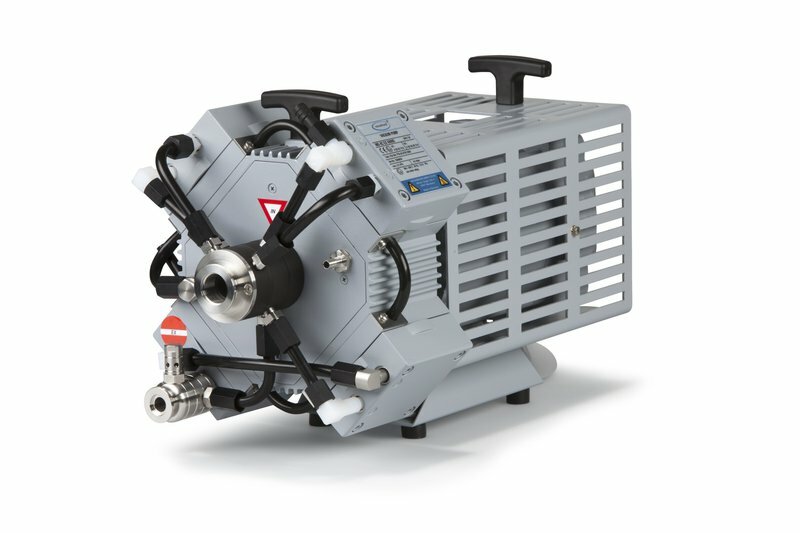 In addition to Vacuubrand’s proven chemistry diaphragm vacuum pumps, they also have a new ‘VAC 24seven’ series, which is now available for both pilot and industrial scale applications. The tested reliability of individual Vacuubrand pumps has been combined to produce a powerful modular process vacuum system. For applications with involving aggressive and condensable gases and vapours, Vacuubrand’s VAC 24seven system provides a clean, oil and contamination free vacuum source. Front mounted inlet catch pots keep the pumps clean and dry, and are easily accessible. The Vacuubrand VARIO® regulation system provides vacuum on demand whenever necessary. The central control unit determines the power required, and controls the speed of the individual pumps accordingly during the entire process. This maximizes energy savings and reduces maintenance requirements. The unique ability to service individual pumps during operation leads to a plant availability of 24 hours, 7 days per week.